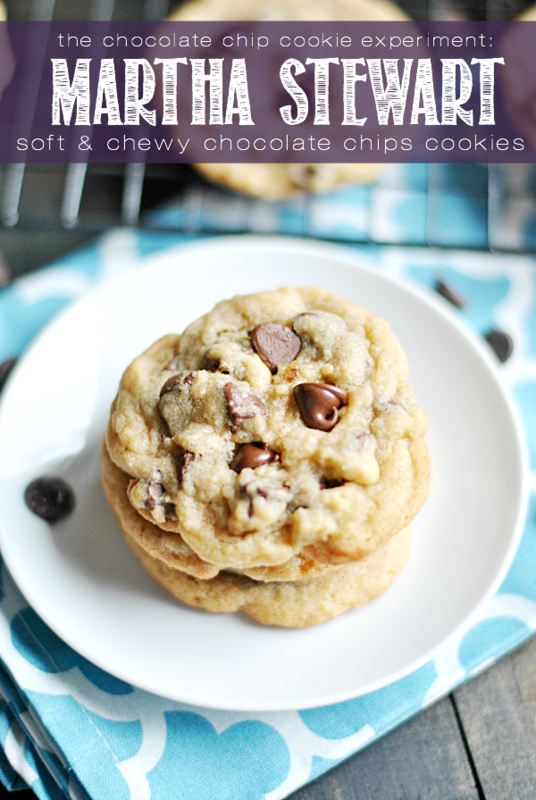 The quest to find the greatest chocolate chip cookie recipe on the planet continues! Today’s recipe: Martha Stewart’s Soft & Chewy Chocolate Chip Cookies. The theory behind the Chocolate Chip Cookie Experiment is, of course, to simply find the best chocolate chip cookie recipe on the planet by thoroughly testing as many recipes as I can (the plan is 52, a full year’s worth). Realistically, I’m sure I’m not going come out of this with just one very-best-of-all-time chocolate chip cookie recipe. I suspect there will be things that I love about all of the recipes, and I’ll take different aspects of each one to incorporate into whatever recipe I choose to be “my” favorite chocolate chip cookie recipe. So…. it’s not like there is really going to be a winner winner. But if there was going to be a winner…. not gonna lie, this one would be a contender. I mean, I know I’m only three recipes into this thing. And I’ll probably feel this way about a lot of the recipes. But holy smokes, this one is GOOD. Goooooo-oooood. I guess they don’t call her Martha Stewart for nothin’! I love everything about how these cookies came out. All the of the really crucial components of any great chocolate chip cookie are in perfect harmony here. It’s just the right amount of buttery to sweetness to saltiness. The edges are pleasantly and perfectly crispy while the centers are soft and just a touch under-baked. 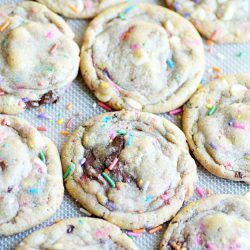 And these cookies don’t call for any chill time– another perk! I’d say– if you’re looking for a great, fool-proof CCC recipe, this is a great place to start! Simple and stellar, to say the least. Preheat oven to 350ºF. Prepare a baking sheet with parchment paper or a silicone baking mat. 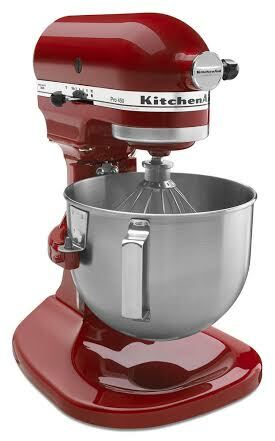 Use an electric mixer to combine the butter with both sugars; beat on medium speed until light and fluffy. Add flour mixture; mix just until the dough forms. Stir in the chocolate chips. Bake for 9 minutes, until edges are golden brown but the tops still look slightly underdone. Remove and let cool on baking sheet for a few minutes before removing to a wire rack to cool completely. Oh hey– guess what! I’m not done! 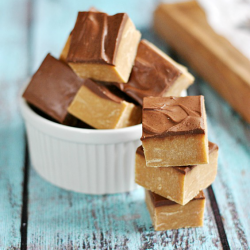 As a little added extra bonus for today’s post, I’m including a super sweet giveaway! 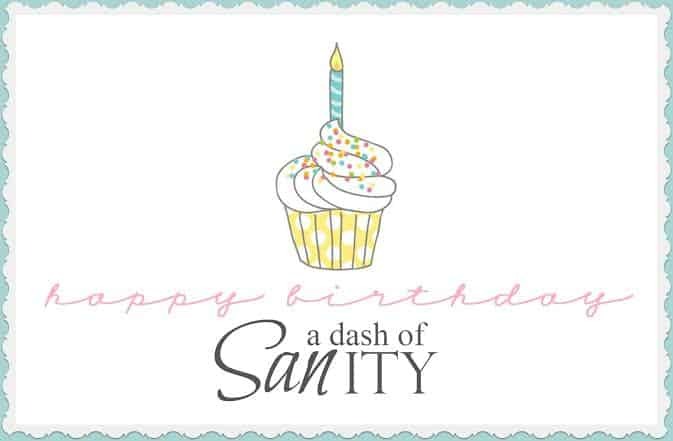 My friend Sandra (A Dash of Sanity) is celebrating her 1 year blogi-versary and has invited me to help her celebrate by giving away a KitchenAid Stand Mixer! *note: this giveaway will not go live at the same time this post is scheduled to publish. There may be a few hours in between publish time and giveaway start time. If it is not up at the moment, be sure to come back and check later today! Hi! These cookies look amazing and I can’t wait to try them! Just a quick question about the giveaway – is it open internationally? Oooooh now I have found you, I will be excited to find out the ultimate winner. No treat is better that a perfectly cooked chocolate chip cookie. Not surprised martha stewarts is good! I will be pinning this for sure. My fiancé loves chic chip cookies, and I am on my off time from running so now is the perfect time to enjoy them! Hi, these look amazing and I would love to try em but it’s really annoying converting the measurements into grams as that’s what we use here in the uk… Especially when there are so many variations in the conversion tables! Would it be possible for you to put both measurements up? Thanks! Oh my goodness those look good. And I never knew this before but that recipe is eerily like my recipe! Haha. 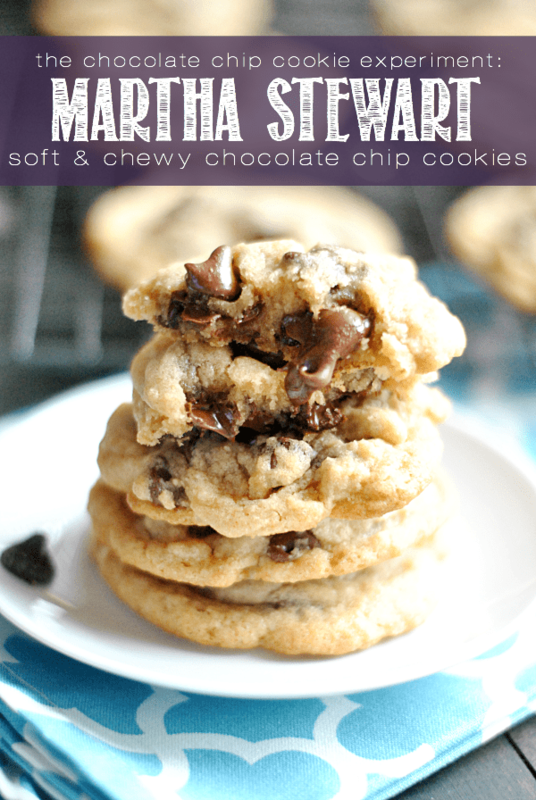 I’m such a chocolate chip cookie lover, so this little experiment you’ve got going is really up my alley! These look great! This recipe is basically the same one that comes on the Hersey’s Chocolate Chips bag. Really? That’s so funny!! Hmmm, guess Martha isn’t as original as she claims!! Or maybe it’s the other way around……. !